If you want examples of why it’s risky to play fast and loose with your money, look no further than some recent lottery winners. 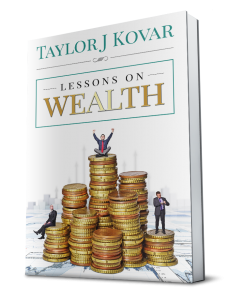 Many people will instantly associate the world “wealth” or “wealthy” with money. However, true wealth is not about money. It is about freedom. Some people think if they were to stumble across a large sum of money, it would completely change their circumstances. If I could just win the lotto, I could quit my job, still pay the bills, and have a financially secure future. There’s a difference between being rich and being wealthy. I can work 80 hours a week, never see my family, eat three meals a day in the office and become very rich, but that would not, in my eyes, constitute a wealthy life. What you’re able to do with your money is far more important than how much you have, and that’s why I’m as much a fan of saving as I am of earning.